3M warrants that its Ultra Safety & Security window films will maintain their strength, tear, and penetration-resistant properties - essential product characteristics when glass retention is the primary objective. Any and all defects are warranted by the 3M Company. 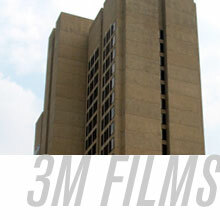 Not only does 3M stand behind its products, it stands on top of them. Select the appropriate link to view a sample copy of 3M's Quality Promise. You need Acrobat Reader to view these PDF files.